Maitri Mangalam! (Cheerful loving kindness all ‘round). Welcome to the BSDS USA website, home of the global Maitri family. The purpose of this website is to share information and discoveries relating to Maha Sambodhi Dharma Sangha. Many here are devotees of Maitri Guru and we welcome truth seekers from around the world to share in our beautiful feeling of love and joy in Maitri. 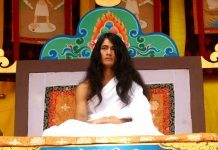 Over the years, devotees find they are gaining awareness of Guru’s Bodhi (Wisdom) in a new way, as an entirely new experience. As awareness rises in the search we share for Truth and the True Dharma, we are coming closer together as a Sangha, becoming one body. This open website, then, serves as Home for sharing discoveries and questions. The learning process is unusual. Guru’s wisdom is unfathomable and at times even perplexing. Every so often we ‘start from zero’, in positive affirmation of moving forward to yet another level of understanding. What had been stated in a certain way last year is understood in a new way this year. Inner growth happens entirely within the Heart, not so much through the mind as we adjust to the previous level of Maitribhavana. Over the years we uncover more and more about our individual selves, even as Dharma reveals Universal Truth for us collectively. Thus ever-changing translations appear from the same Teachings by Guru. 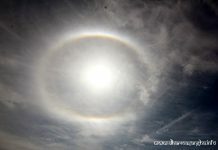 They reflect not so much the changes in Guru’s guidance as the changes in our own deepening perception. The Bodhi (Wisdom) path of Maitri Dharma was discovered by Maha Sambodhi Guru Dharma Sangha. The myriad qualities of Maitribhavana (being in Maitri) include undifferentiated and equal love of all living beings, strong empathy for the suffering of others and the compassion to take it on oneself instead; the resounding altruistic joy that celebrates Truth, as well as the inability to cause the least harm. Maitri Dharma is not any ‘notion’ to follow. It is not any external law or intellectual rule based on principles that we must follow consciously, sometimes even suppressing our inclinations. Instead we find ourselves doing things in a new way. Change is coming from the inside without any feeling of sacrifice. It is not that we are following tattva, but rather that the tattva (essence) rises and seems to be permeating within us. It is truly wonderful. Truly truly. Such is the pervasive Maitriya Bhav that Guru is releasing. Something is changing, and we are often surprised by what is happening around us and within us. Aiming not so much for personal enlightenment, Maitribhav is a groundswell phenomenon where truth seekers with open hearts find ourselves growing in awareness, thinking we are changing as individuals when in fact we are growing in massive numbers unbeknownst to each other, together; often undergoing spontaneous changes in lifestyle and experiencing unaccountable bliss. Heavy meat-eaters remotely connected with Maitrti followers, albeit only through cyberspace, find themselves unaccountably becoming vegetarians. A deep sense of peace and altruistic love is spreading in spite of daily world crises. Maitribhav is a massive spiritual upsurge presently uplifting humanity and all living beings without discrimination. New awareness of Universal Oneness is evidenced in reports of spontaneous compassion, helping and sharing with strangers – even among different species. A unifying feeling is spreading in the world; our fear, as individual water droplets, is dissolving in the emerging awareness of our Oneness as Ocean. We are, as Guru says, “Perfectly safe”! Over six years without interruption Guru set out in search of a pure Dharma path. For this He took on countless extreme trials testing His faith, His ability and willingness to suffer for all beings. He sat motionless for months in the hollows of trees, meditated continuously yet unscathed in roaring flames bursting from His inner fire. 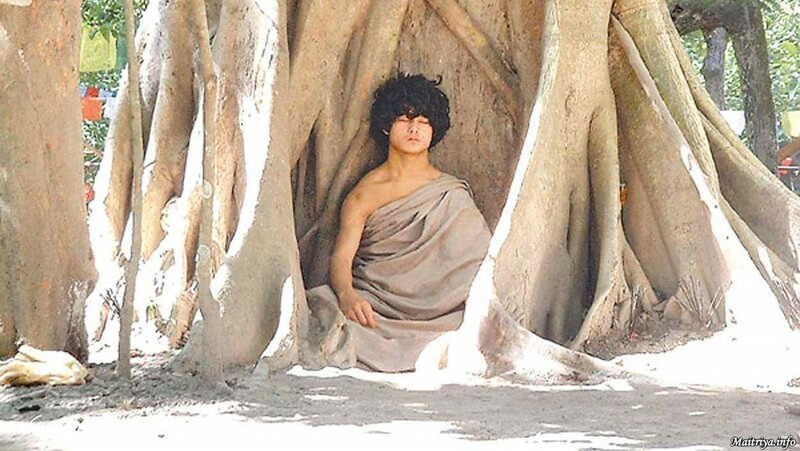 He meditated in a sealed airtight underground chamber; or immersed in water, or among wild animals where no humans dare set foot etc., emerging radiant and peaceful each time. But this was not to display formidable yogic siddhi prowess, nor to be some global hero who suffers extreme danger for well over two thousand days and nights without sleep or sustenance, but rather to offer all that He gained, with his life on the line, in order to protect the planet and uplift all its living beings. For all this He attained the wisdom of Maha Sambodhi Dharma Sangha. One year later, He stopped fasting and took pure nourishment, Samyak Ahar, for food. And from this time onward, Guru has been spreading Maitri Dharma in His silent heart-to-heart way, reaching and transforming thousands around the world in surprising ways. 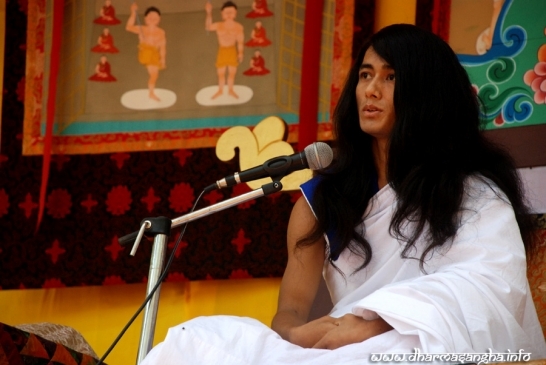 Guru shares only first-hand Bodhi (Wisdom) received in His solitary contemplation. His Teachings are pure and simple without any secondhand information copied from books or traditions. But people are sometimes unable to believe them, perhaps because of the primordial purity of this Teachings. Countless Gurus throughout time have attained realisation and ascended to Realms of Eternal Bliss in pure light, free from further striving. But Guru continued his tapas even after reaching ever higher stages, and chose to remain in earthly human form in order to guide all living beings. He attained the wisdom of Bodhi Marga Darshan Maitri Dharma, hence his name: Maha Sambodhi Dharma Sangha. 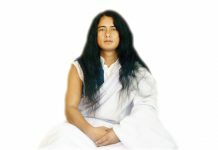 Who is Maha Sambodhi Dharma Sangha Guru? Do You Know What Sangha Is? Do You Know What Dharma Is?